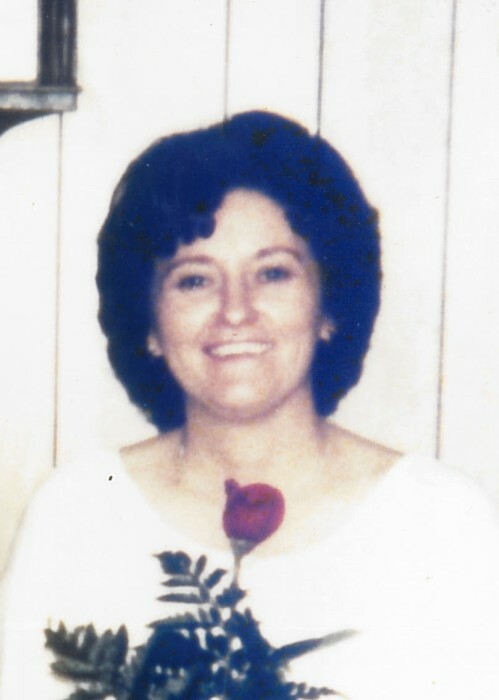 Betty Ann Johnson Lindsey age 79 of Horse Cave passed away Monday, January 14, 2019 at the Medical Center at Bowling Green. She was a native of Barren County and a member of the Baptist faith. She was a loving wife, mother, and grandmother. She is survived by her husband of 34 years, David Lindsey of Horse Cave; one daughter, Patricia Smith (Robert) of Cave City; two sons, Gary Turner (Kendra) of Bowling Green and Timothy Turner (Tinekia) of Smiths Grove; two step-sons, Timothy Lindsey (Teresa) of Horse Cave and Jon Lindsey (Linda) of Park City; three grandchildren, Chad Martin (Tina) of Cave City, Misty Estes ( Matt) of Cave City and Dalton Turner of Smiths Grove; five step-grandchildren, Josh Lindsey (Jessica), Jake Lindsey (Aleasha), Erica Vanmeter, Chasity Sturgeon and Crystal Davis; eight great-grandchildren; one sister, Dorothy Locke of Hiseville and several nieces and nephews. Funeral Services will be held at 1 p.m. Friday, January 18, 2019 at Winn Funeral Home with burial to follow in the Horse Cave Municipal Cemetery. Visitation will be held from 5-8 p.m. on Thursday, January 17, 2019 at Winn Funeral Home and from 9 a.m. until service time Friday. In lieu of flowers, donations may be made to the Hosparus of Barren River.